Welcome to the big event of the year… the 27th Annual Draycott-in-the-Moors Summer Fayre Weekend, which once again promises a full thirty-six hours of fun (with a little sleep thrown in in the middle…), taking place on Saturday 7th & Sunday 8th July 2018. # Saturday day: NEW!! For the first time, there will be a huge car-boot sale on the front-field during this day. # Saturday evening: ‘Saturday Night Live’ brings three bands, a disco, & beer festival, all under a huge marquee. Headlining is a seventeen-piece dance outfit…! Everything takes place around Ford’s Field, slap bang in the centre of the village (for sat-navs, it’s ST11 9AE); and it’s all free to children of school age. In the past, a small car-boot sale event has been held during the main fayre on the Sunday – but it has proved so successful, it has been decided to give the car-boot event a day of its own. Starting at 9.30am, it’s hoped that we shall see dozens of stalls selling a wide variety of items. Pitch Fee only £5! If you have stuff stored in your garage, why not apply for a spot? Maureen Winfield is in charge – email her for details. For those that love to dance or just appreciate live music (and appetising food), you get your moment on Saturday evening (7th July), when the field’s large marquee will be put to good use. The night will have its food & drink organised by The Draycott Arms again (thanks Zara and Brayn!). ….one of the bands returning from last year, Bear Withers who describe themselves as a “seamless blend of popular covers and bad jokes”! … the compere & DJ will be Andy Bird. And it’s up early on the Sunday (8th) for everyone if you want to get your money’s worth at the fayre, where gates open at 11am. The first event is the ever-popular Dog Show at 11.30am, (If you think your dog has the makings of a winner, be sure to get to the fayre by 11am to register). This year, Diane Bostock and her team are going for an upgrade, with more classes and an even more professional approach. Entrance fee per dog is £2, and you can enter your dog for more than one class. (See more details of the dog show classes at the bottom of this page). From then on it’s fast & furious. The main attraction is the previously-mentioned re-enactment group Historia Normannis. They’ve done some high-profile venues, including Kenilworth Castle. From exciting massed combat, knights displaying their prowess in tournaments, displays of archery, woodwork and metalworking, all to the singing and music of the court of the time, Historia Normannis presents the workings of 12th century life. Their Norman Village is especially fascinating, with various crafts explaining the Norman way of life. The ‘village’ will be running all day. 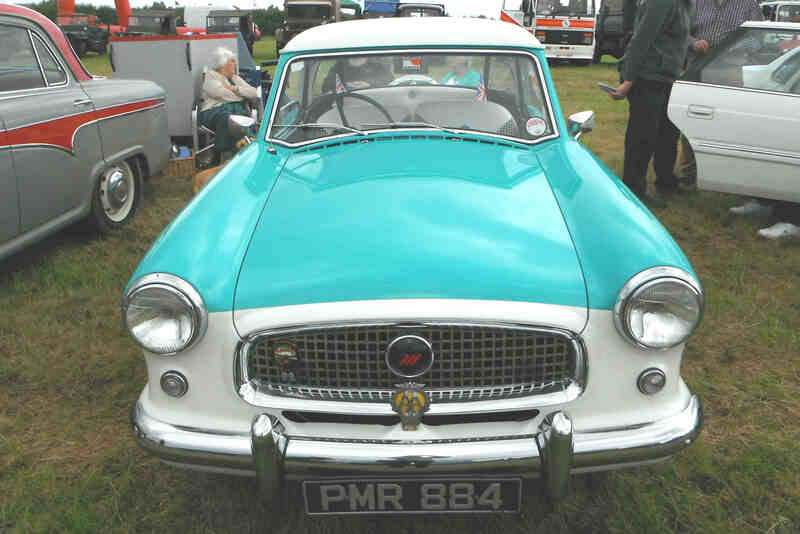 The other big attraction is the long-established vintage vehicle rally, run by the evergreen Tom Sale, with over one hundred cars, motorcycles, lorries, coaches, machines, commercial vehicles and tractors. Every year, the rally alone brings in hundreds of visitors. Contact Tom if you’d like to take part. Old favourites will be returning …. the Community Sports and Tug-of-War tournaments; Milner’s fun-fair; the ferret racing (with Malcolm Adlington); Anthony Hammond’s live & electric wood-carving; and Christopher’s Reptiles. Kids will be enthralled by the Coverdale Puppets show, and by Mr Abracadabra (who performs traditional Punch & Judy and balloon-art also). But there is always something new to see… in the paddock this year all afternoon, you’ll find the donkey rides. The Happy Donkey Company is a local business, and we welcome them for the first time to Draycott. Staffordshire Fire Service were also eager to get involved, and will be sending along a fire-tender, and answering questions about their work. The organisation was particularly impressed that our fayre permits free entry to all school-age children, as good fire safety starts when children start to learn it as youngsters. Really fascinating for history enthusiasts this year though will be a remarkable and special display run by Levison Wood, the chairperson of our local district history society. To remember one hundred years since the end of World War One, he and his wife are re-creating a section of a WW1 trench, remembering the events of a century ago, and celebrating the local soldiers who took part. It’s marvellous to be able to say that many local people will be running sales-stalls too, selling everything from ice-cream to plants. Local community groups will be hosting information stands (and probably selling a little jam on the side…). For those interested in the future of the village, the Neighbourhood Plan committee has taken a ‘roadshow’ stall on the day, and will be happy to discuss current progress of the project with residents. You can register your tug-of-war team (it’s just a fun event, folks, not for professionals!) on the day with the compere, but it would be helpful if you email the Fayre Organiser with your plans. If you or your local group wants a stand at the fayre, it is not too late to apply. Just email the Fayre Organiser, and he will help you sort something out – £10 a table). Need a rest? Thank goodness for the ‘Saint Margaret’s Bar’ and its cooling beers and ciders (and other drinks). A big thank-you to The Draycott Arms which will be running it again this year. Zara Hutson from the Arms has promised a proper choice of beers, so if you enjoy a pint, it really will suit you. And don’t forget: the wonderful Tea Shop run by Christine Wibberley and her extended family; the barbecue, run by Draycott Moor College staff; and the hog-roast being organised by Tom Sale’s nephew. This is a local event, all run voluntarily by local people for a local charitable cause (the ongoing, and expensive, maintenance of our lovely 13th century village church, St Margaret’s). The fayre is held, as usual, right in the centre of the village, on Uttoxeter Road (ST11 9AE) – with gates open at 11am. The day closes around 4.30pm. Entry is £5, but children under-17 get in free. On-site car-parking is free. The helpful attendants are provided by Staffordshire Police Cadets, Leek Unit. First-aid is on site, provided by St John’s Ambulance local branch. If you can’t remember last year’s fayre, check out our review of it. As has been said, this is a strictly volunteer-run local event with all profits going to our village’s oldest building. So, thinking of that – if you live locally, do you think you can help, by volunteering? On the Sunday (and the Saturday evening) there is always a need. People are required for all sorts of tasks – from the basic, like stewarding on the car-park, right through to ‘shepherding’ the main acts. If you can spare even a little time, or have some expertise, please email the Fayre Organiser, John Clarke. He will be very happy to hear from you! Fayre volunteers will also want to keep an eye on the special Fayre Facebook page. And again, special thanks to Paul & Sandy Ford of Highfields Farm. From the very start in 1990, they have hosted the fayre on their land, providing a water and electricity supply too. And many thanks also to Wood Mitchell Printers who have printed the programme for many years. It just gets bigger and bigger… The 26th year of the Draycott-in-the-Moors Summer Fayre promises a full thirty-six hours of fun (with a little sleep thrown in in the middle…) across Saturday 8th and Sunday 9th of this month (July 2017). # Saturday Afternoon: A parade through the streets by some fifty re-enactors in American Civil War costume ! # Saturday evening: ‘Saturday Night Live’ brings three bands, a disco, hog-roast & beer festival ! # Sunday daytime: St Margaret’s Summer Fayre from 11am-4pm with The Human Cannonball, American Civil War skirmishing, vintage car rally…. and more ! One of the biggest attractions this year is The American Civil War Society re-enactors. In costume from 150 years ago, they really know how to make history come alive – sometimes with big bangs…! They will be camping on the fayre field; and will parade from Blythe Bridge to Draycott on Saturday afternoon, leaving BB at 2.30pm, flags flying. For those that love to dance or just appreciate some live music (and beautiful food), you get your moment on Saturday evening (8th July), when the field’s marquee will be put to good use. The terrific Jacque Rabbit band (featuring local lad Richard Ward) will be back again, by popular demand; with Peter Wright’s ‘SuperiorSounds Disco’ on the decks kicking off the night at 7pm. Two very lively bands are the support: Bear Withers (a “seamless blend of popular covers and bad jokes”!) and Moore & Moore Beer. And it’s up early on the Sunday (9th) for everyone if you want to get your money’s worth at the fayre. The first event is the ever-popular Dog Show at 11.30am, (If you think your dog has the makings of a champion, be sure to get to the fayre by 11am to register). The two big attractions are the previously-mentioned American Civil War Society re-enactors who will be around all day – but also putting on an infantry drill display, organising a kids-only drill, and then having their own infantry-only skirmish (keep well back…!) during the course of the afternoon. And of course – there is the long-established vintage vehicle rally, run by the evergreen Tom Sale, with over one hundred cars, motorcycles, lorries, coaches, machines, commercial vehicles and tractors. Every year, the rally alone brings in hundreds of visitors. Plus……. the Community Sports and Tug-of-War tournaments; the fun-fair, the ferret racing (with Malcolm Adlington), one that is new to the fayre Christopher Reptiles, the Coverdale Puppets show, the stalls selling everything from ice-cream to plants, the local community groups’ charity stands, and the ‘country-crafts experience’. Need a rest? Thank goodness for the ‘Saint Margaret’s Bar’ and its cooling beers and ciders (and other drinks). A big thank-you to The Draycott Arms which will be running it this year. Zara Hutson from the Arms has promised a proper choice of beers, so if you enjoy a pint, it really will suit you. The staff of Draycott Moor College has once again showed terrific willingness to join in community activities – they will be running the barbecue. And don’t forget the wonderful Tea Shop run by Christine Wibberley & friends. And you don’t even have to walk to the fayre! If you live in Tean, Cresswell, Blythe Bridge or Draycott, then jump on the special Fayre bus. POPS, the Potteries Omnibus Preservation Society, will be running a vintage bus around the villages all day from 10am onwards (but not to Meir Park, as previously hoped). Check out the timetable by clicking on this link. It’s free to ride, though a small donation would be appreciated. The fayre is held, as usual, right in the centre of the village, on Uttoxeter Road (ST11 9AE) – with gates open at 11am. The day closes around 4pm. On the weekend, the big A50 dual carriageway will be shut for repairs between Uttoxeter and Draycott-Blythe Bridge roundabout. This won’t affect the road by the fayre or local motorists, who use alternative roads, but if you’re coming from a distance, you might want to check your route. First Aid is provided by 239 (Longton) Squadron Air Training Corps. They will also be performing a drill display in the main ring. As has been said, this is a strictly volunteer-run local event with all profits going to our village’s oldest building. So, thinking of that – if you live locally, do you think you can help, by volunteering? On the Sunday (and even the Saturday evening) there is always a need. People are required for all sorts of tasks – from the basic, like stewarding on the car-park, right through to ‘shepherding’ the main acts. And so, special thanks to Paul & Sandy Ford of Highfields Farm. From the very start in 1990, they have hosted the fayre on their land, providing a water and electricity supply too. Following a well-attended public meeting in which residents and management at Draycott Moor College exchanged frank views, it seems that the chance for Draycott’s children to have their own play-area has now gone. Some eighteen months ago, the college authorities offered the use of its small green space play-area (the one next to the college that fronts on to Draycott Old Road) to the parish council. However the council has been unable to find anyone to take the responsibility for locking the area up at night. So, the college has now decided it may be better off converting the area into a car-park. The meeting did also manage to resolve a number of other issues, including, ironically enough, the problem of the numbers of cars parking in the street outside the college. Yes, it will be the summer holidays before we know it. However, Chrissi Thompson, the youth worker who runs the Draycott youth club every Thursday at the church hall, is one who has definitely remembered that they are coming up. Chrissi has organised a meeting for Wednesday 30th April at 7.30pm to discuss and plan for local children’s activities during the long days of July and August. She would welcome anyone interested in helping out and organising. The meeting takes place at Blythe Methodist Church Hall – for more information please contact Chrissi. The first team at Blythe Cricket Club (which plays in Cresswell) has started the season well, winning their first two games. 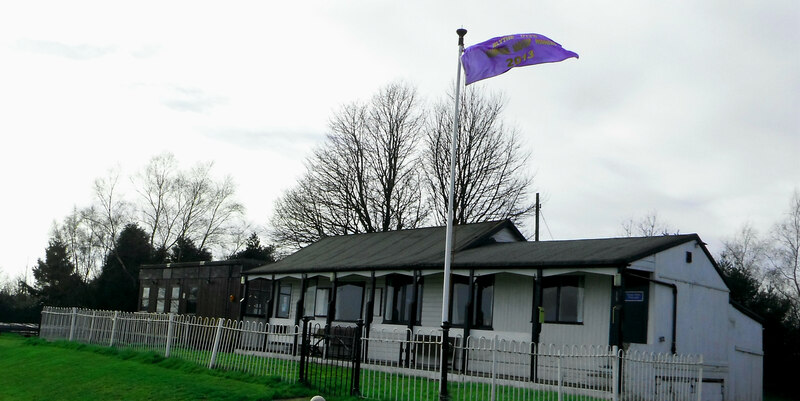 The facilities for watching at the club are really very good – so if you find yourself at a loose end on a weekend, do stroll along and watch some good cricket. What’s more, this year, the first team is enhanced by the presence of a new professional, the Sri Lankan bowler Upul Indrasiri. (See What’s On Page for forthcoming home games). Email Blythe CC for details. If watching cricket sounds too tiring (! ), you may enjoy midweek nights at the Draycott Arms. 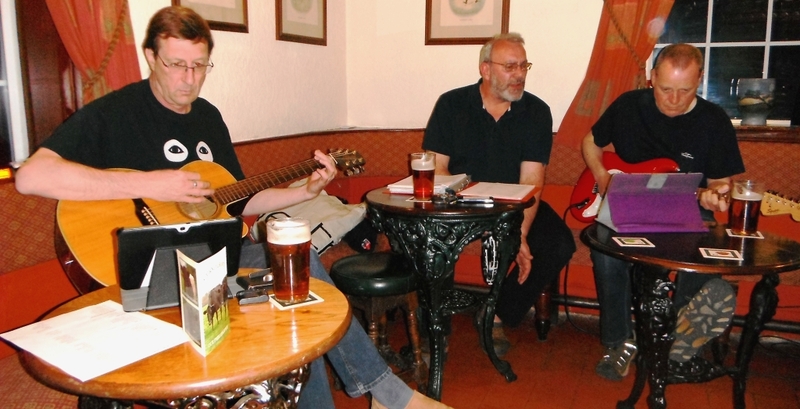 The Bear Withers group, which specialises in a combination of humour and covers of the better pop hits, practises there in the bar every Wednesday; and it’s a bit of fun to go along and hear what they are up to. It’s a laid-back session, so if you don’t mind that it’s a more of a ‘jam’ than a finished set, you’ll always leave with a smile on your face. There are no loud amplifiers, so your ears are quite safe. And it’s free, of course. It has been a very good couple of years for the church hall, where the roof has been fixed, insulation installed, the heating system upgraded, and there has been all-round decoration. It’s all part of an effort to make the hall more attractive to anyone who wishes to hire it. 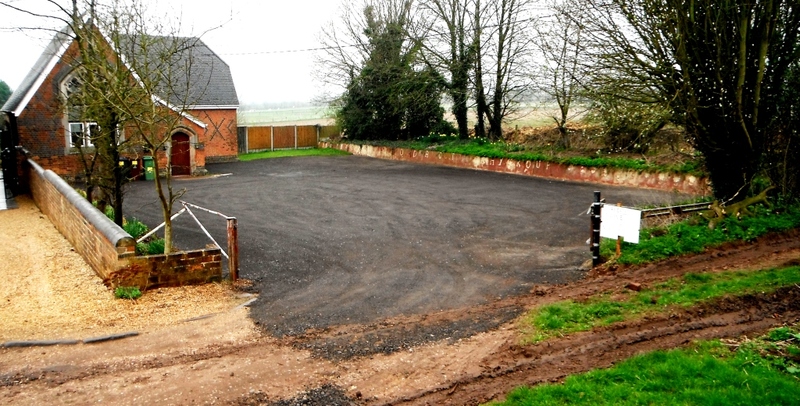 The latest improvement has seen the hall’s car-park re-surfaced – so no more crunching sounds as car-axles hit potholes. Just use the comments box – near the bottom of this page. (The form will ask if you wish to put in your email address. You don’t have to, and it is always kept private anyway and never published, but, if you don’t add your email, that means you might miss any responses to your comment).